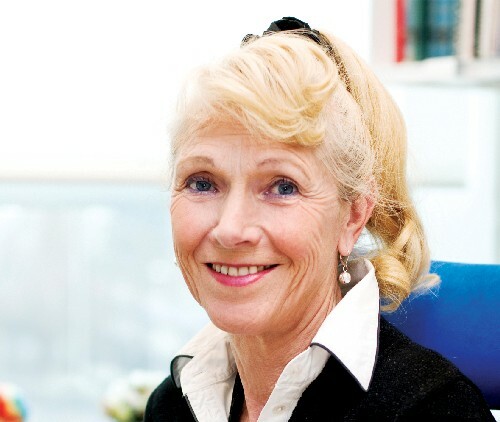 Anne-Lise Børresen-Dale, head of the Department of Genetics at the Insitute for Cancer Research, has recently been selected for the The Helmholtz International Fellow Award For Excellent Researchers and Science Managers and is welcomed as an honorary member into the Helmholtz community. Cooperation with the world's best researchers is a key objective of the Helmholtz Association's international activities. To this end, the organisation established the Helmholtz International Fellow Award in 2012, which targets outstanding senior scientists and research managers based outside Germany who have excelled in fields relevant to the Helmholtz Association, including science management at large international research institutions. The Helmholtz Association is dedicated to pursuing the long-term research goals of state and society, and to maintaining and improving the livelihoods of the population. In order to do this, the Helmholtz Association carries out top-level research to identify and explore the major challenges facing society, science and the economy. Its work is divided into six strategic research fields: Energy; Earth and Environment; Health; Key Technologies; Structure of Matter; and Aeronautics, Space and Transport. The Helmholtz Association brings together 18 scientific-technical and biological-medical research centres. With almost 36,000 employees and an annual budget of approximately €3.8 billion, the Helmholtz Association is Germany’s largest scientific organisation. Its work follows in the tradition of the great natural scientist Hermann von Helmholtz (1821-1894).